On February 20, 2013, Rights Action Co-Director, Annie Bird, issued the most detailed report to date on “Human Rights Violations Attributed to Military Forces in the Bajo Aguán Valley in Honduras” (hereafter cited as the Bird Report). The report’s findings remove ambiguities that may have given those who have chosen to remain silent a clear conscience. The Bird Report is far more than simply a compilation of documentation and analysis; it represents an urgent call to stop the killing taking place in this region of Honduras. The Bird Report shows concrete links between death squads, the Honduran army’s 15th battalion, the Colón police, and a number of private security firms. The document points out that 77 of the 89 killings of peasants reported since January of 2010 “clearly have the characteristics of death squad killings” (p. 43). Bird points to cases where peasants have been murdered while in transit (on bicycles, on motorcycles, in cars, waiting on a bus, or walking along the wayside), at home, while working, at demonstrations, during evictions, or abducted and later found dead, often with signs of torture on the body. If one deigned to surmise that the days of death squad operations in Central America were over, the Bird Report should provide a deeply troubling signal. Four years ago quarrels over land usage in the Aguán were usually dealt with in court, not through the end of gun barrel. But the political and economic context has dramatically altered in a manner that obscenely valorizes property rights over human life. According to Just the Facts, Honduras is in a fiscal crisis because of its “inability to pay both its domestic and foreign bills” and it is now faced with the prospect of being “unable to pay for state services ranging from education to security.”  One bright spot in the Honduran economy is in the export sector. Since 2000, the demand for African Palm Oil has doubled and the Bajo Aguán is among the ideal places for its cultivation. African Palm Oil is used as a food additive and as a means to produce biodiesel fuel. This growing demand has motivated great interest in the few parcels of land available in the Aguán for expanded levels of cultivation. This already has raised the immediate stakes in the longstanding conflicts between campesinos seeking to reclaim farm land and the three large plantation owners in the area who are bent on enlarging their holdings. 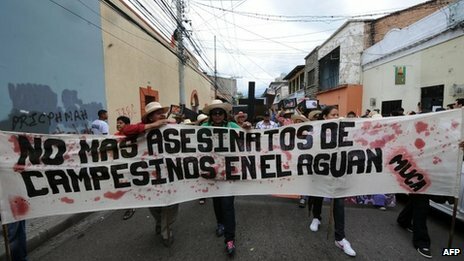 The Honduras government did not, at first, countenance murder as an acceptable means of resolving these land disputes. But starting in mid-2009, the legal tools of negotiation all too often have been giving way to the blunt instruments of terror. 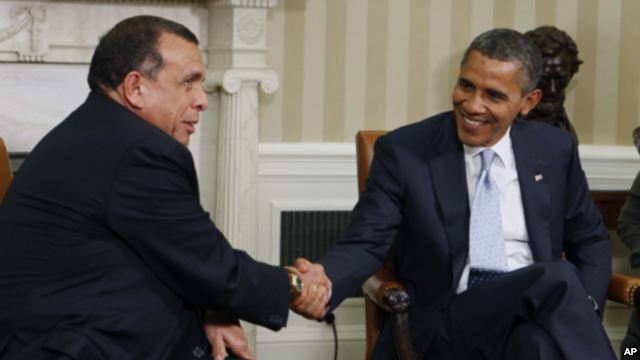 On June 28, 2009 a civilian-military coup against the democratically elected Honduran President Manuel Zelaya triggered a crackdown by golpista forces on human rights and progressive activists across the country. Since then, dissident journalists, human rights attorneys, Afro-descendent and indigenous communities, the LGBT community, and political foes of the post coup regimes have suffered the brunt of the abuses, often with the direct participation and complicity of the police and security forces. It is in this precipitous economic, political, and security climate that death squads have surfaced against campesino organizations in the Bajo Aguán Valley. A brief look at the ideological context of the abuse of power shows the complicity (unwittingly or not) of a number of international players. Despite an abundance of human rights inspired reporting on this issue worldwide, there has not yet been anything akin to the political will in Tegucigalpa to bring a halt to the targeted killing of campesinos in the Bajo Aguán Valley. 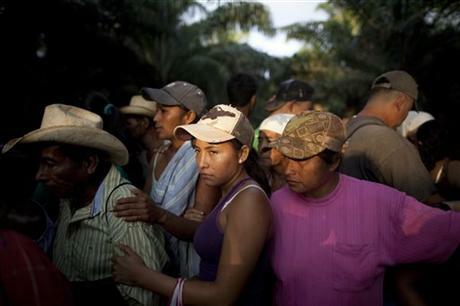 How is this major moral failing to be explained given that there is no legitimate policy justification for the carnage over what is essentially a longstanding land dispute among Hondurans? In the days and weeks that followed the counternarcotics operation in Ahuas, the international human rights community and some members of the U.S. Congress called for an in depth official investigation of this incident. Washington’s position up to now is to defer judgment on the DEA role in the Ahuas operation to the conclusions reached by the investigation conducted by Honduran authorities. This flimsy approach to accountability in this high profile case is not exactly a confidence builder, but has taken on the appearance of providing cover for suspicious transactions. If Washington is unwilling to investigate the DEA’s “supportive” role in this tragic episode of the war on drugs, it loses leverage in holding Honduran authorities accountable for human rights abuses in Miskitia, the Aguán, and elsewhere in Honduras. The Bird Report lifts the veil of pretext because it conveys enough testimony from persons on the ground to undermine claims that counternarcotics operations are what chiefly motivates the alliance between the security forces and big agribusiness in the Bajo Aguán. This alliance is supported, whether intentionally or not, by outside forces. 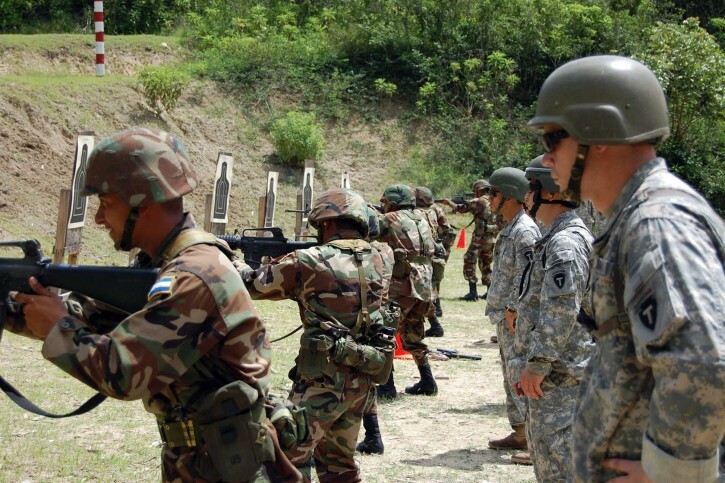 For this reason the Report documents some of the U.S. funded military training and other assistance provided to the Honduran military’s 15th battalion and closely related units. This battalion and related units reportedly have been implicated in targeted killings of campesinos who are in most cases associated with farm coop organizations in the Bajo Aguán. So, at this point, it may be prudent for the U.S. to reconsider the controversial deployment of resources for these Honduran military units. With regard to the money trail, the Bird Report indicates that the World Bank, the Inter-American Development Bank, the Central American Bank for Economic Integration, and a number of other institutions have made loan commitments to the Dinant Corporation. This corporation is owned by Miguel Facusse, who runs one of the three big African Palm Oil plantations in the area. This is important because the Bird Report links a security firm (called Orion Private Security Corporation)  in the pay of Dinant and at least one other agribusiness to some of the acts of violence against campesinos associated with several vicitimized coop organizations. These lenders have an ethical obligation to further research and reevaluate any loan commitments to questionable agribusinesses that are alleged to engage in murder for hire and other notorious crimes. Bird’s research, then, helps the readers to connect the dots from the military assistance and money trails to violence in the Aguán. Perhaps with a change at the helm of the State Department such voices of conscience will prevail. It remains to be seen whether Washington will develop a more progressive and responsive hemispheric policy which makes human rights and mutual respect among nations a top priority. While the Bird Report provides detailed findings and recommendations, there are two immediate indispensible measures that can help put an end to the killings. First, the Obama Administration should immediately halt military assistance to all security forces involved in the abduction and murder of peasants in the Bajo Aguán. 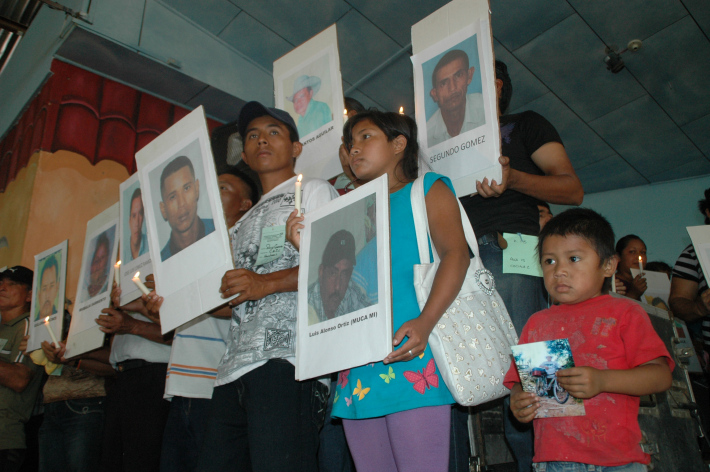 If there is to be a long term and broad cessation of human rights abuses in Honduras, the perpetrators of the murders in the Aguán area and in other locations in Honduras must be held accountable. It is not clear, however, that justice for the victims and their families can be achieved given the current political, judicial, and security situation in Honduras. At the present time, some elements of Honduran the law enforcement forces are implicated in a significant number of human rights abuses, the judiciary stands in serious need of reform, and the country is now being internationally seen as a dangerous place for human rights attorneys. Two of the country’s most prominent human rights attorneys, Antonio Trejo and Manuel Diaz were murdered in September of 2012, and other lawyers have been persuaded by bribes or death threats to mend their principled ways. With compromised judicial and public security systems in much of Honduras, the International Criminal Court (ICC) appears to be the “court of last resort.” Perhaps as the ICC reviews Honduran cases, those responsible for the abuses in the Aguán and other areas of Honduras will take note that universal jurisdiction in the case of crimes against humanity has no statute of limitations. To read the Bird Report, click here: Human Rights Violations Attributed to Military Forces in the Bajo Aguán Valley in Honduras. Bird, Annie, “Human Rights Violations Attributed to Military Forces in the Bajo Aguán Valley in Honduras,” Rights Action, February 20, 2013, http://rightsaction.org/sites/default/files//Rpt_130220_Aguan_Final.pdf. IACHR 2011 Annual Report, Organization of American States, 2011, http://www.oas.org/en/iachr/docs/annual/2011/TOC.asp. See also Observaciones Preliminares del la Comision Interamericana de Derechos Humanos sobre Su Visita a Honduras Realizada del 15 al 18 de Mayo de 2010. Secretaria General de La Organizacion de Los Estados Amercanos, Washington, DC 20006, http//www.cidh.org. Sections 118 – 121. The 34 cases are further divided into three types: 1) Human rights abuses currently under investigation and prosecution; 2) Cases where some investigative measures have occurred; and 3) Cases widely reported by human rights organizations and the press. John, Mark, “Special Report: Africa palm-oil plan pits activists vs N.Y. investors,” Reuters, http://www.reuters.com/article/2012/07/18/us-africa-palm-idUSBRE86H09320120718. See Michelle Alexander (2010). The New Jim Crow: Mass Incarceration in the Age of Colorblindness. New York: The New Press. Mills, Frederick B., “Death in Miskitia Land and the Search for Justice,” Council On Hemispheric Affairs, June 8, 2012, http://www.coha.org/death-in-miskitia-land-and-the-search-for-justice/. Some reports claim two of the women killed were pregnant, not one. Guy, Taylar, “Government won’t probe of DEA raid in Honduras,” The Washington Times, February 12, 2013, http://www.washingtontimes.com/news/2013/feb/12/no-probe-of-dea-raid-in-honduras/?page=all. According to a US Embassy Cable of October 26, 2006 “Dinant is a diversified food products company that uses African Palm oil as an ingredient while exporting the balance, principally to the U.S. Overall, African Palm oil is Honduras’ fifth largest export at $56 million per year.” See http://wikileaks.org/cable/2006/10/06TEGUCIGALPA2030.html. Niether Bird nor this author makes claims about any other firm which may have the same name, but refer only to the one on the ground in the Aguàn area. U.S. Union Joint Letter to the U.S. House of Representatives on Honduras Human Rights Violations, March 2, 2012. Johnson, Hank, Rep. Johnson, 57 colleagues call for investigation into DEA-related killings in Honduras, January 30, 2013, http://hankjohnson.house.gov/press-release/rep-johnson-57-colleagues-call-investigation-dea-related-killings-honduras. Annie Bird, e-mail message to author, February 28, 2013. There has not been a total stop to negotiations over land disputes, even during the period covered by the Bird Report. ← Venezuela’s Foreign Policy Without Chávez: Is this the end of ALBA? Peru’s Economic Model and Poverty Reduction: Is It Working? July 11, 2008 COHA Comments Off on Peru’s Economic Model and Poverty Reduction: Is It Working?